The vibrations are harmonic, which are safe, consistent and controlled levels of vibration, moving in three directions (up and down, forwards and backwards and side to side). 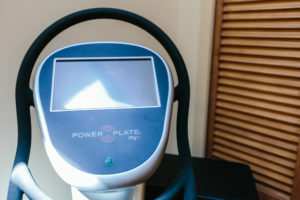 Significant weight loss is often reported by those who use Power Plate regularly in conjunction with a healthy, calorie-controlled diet. One of the reasons for this is increased lymphatic flow and associated removal of biological waste, and retained fluid. 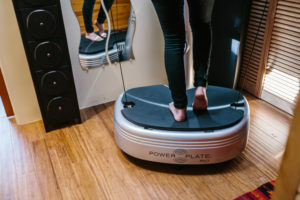 Research shows, when used as part of an active lifestyle, Power Plate may have a significant impact upon the reduction of cellulite and body fat. 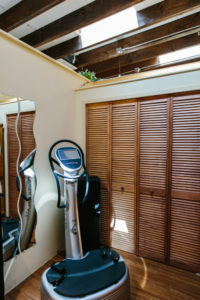 This may occur due to increases in metabolism, both during and following exercise. 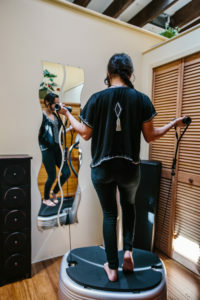 With whole body vibration training, you get a complete, full-body workout incorporating stretch, balance, core, strength-building and massage, all in only as little as 15 minutes. Our model has a virtual trainer with more than 1,000 built-in videos.